Hotel Manager Jackie Pease and Managing Director Andrew Allsop. Morley Hayes, one of Derbyshire’s best-loved leisure facilities, has been named UK Private Luxury Hotel of the Year at this year’s Luxury Travel Guide Awards, Europe. 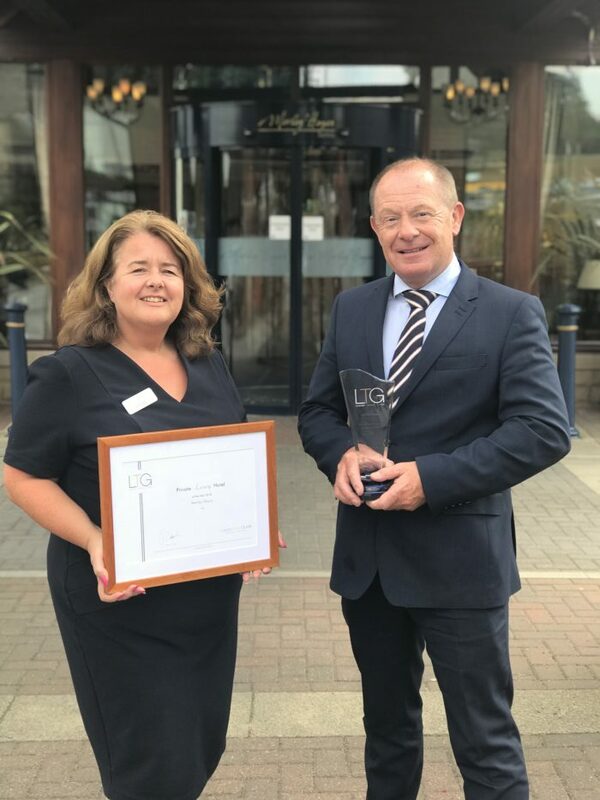 The hotel, restaurant and golf venue on Main Road in Morley has been recognised in the European leg of The Luxury Travel Guide Awards, which represent the pinnacle of hospitality achievement. The final decision on the category winners follows a 12-month deliberation and inspection process in order to identify everything from the best hotels and beach resorts, through to the finest quality hiking companies and airline services. Other European winners include Turkey’s Elif Hanim Hotel & Spa which won Unique Luxury Hotel of the Year, Hotel Schwarzer Adler in Austria which was voted Modern Luxury Hotel of the Year and the Mount Falcon Estate in County Mayo won the award for Traditional Luxury Hotel of the Year.